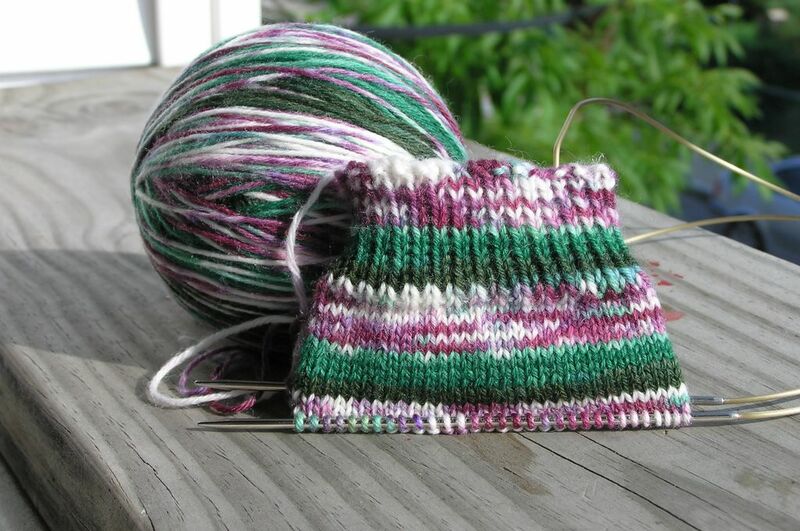 As promised, here is a swatch of the "Grapevine" colorway. At first I wasn't crazy about it, but it has totally grown on me! Christine is the proud new owner of this yarn... I hope you make some great socks :)! 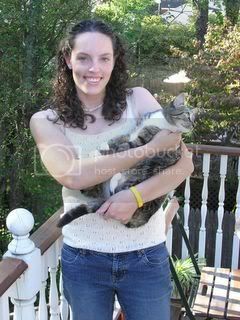 Go say hello to Christine, she has 5 kids and is a wonderful knitter! I think I am going to do a second version of this in all stripes as well once the heat subsides in Boston. 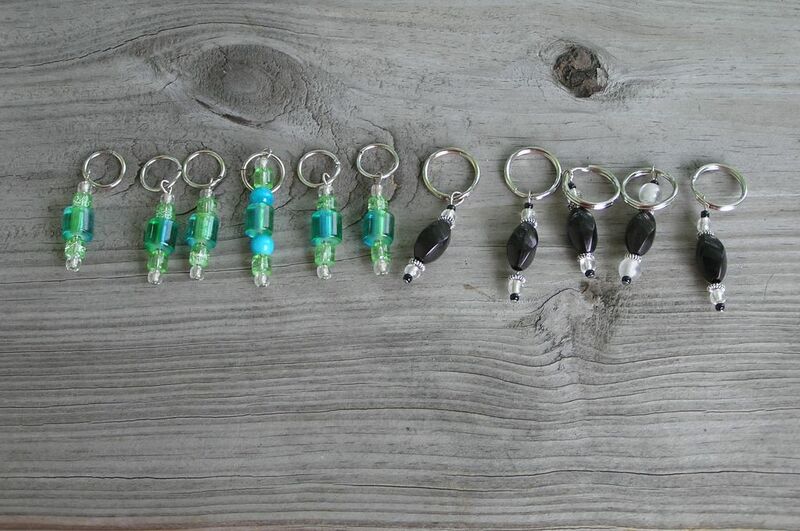 And, how cool are these stitch markers?! Lee Anne sent me these a few days ago and they are already in use on a secret project :) so, thanks Lee Anne, you are such a doll! AWWW You are tooo Sweet! Thanks for the great sock yarn, I will let you know when they arrive!!!! Love all of your dyed yarn! Any success with more watermelon :) That was one of my favs. It actually captures the whole grapevine thing PERFECTLY. See, being Portuguese means I grew up in a neighborhood where all of our Portuguese neighbors as well as we, had grape arbors, so I know of which I speak! I like the solid vine. It works a a stripe. And it's perfect how you mixed up the grape and added slight tinges of blues againt the natural color. It really looks like your peeking through the arbor on a sunny day! 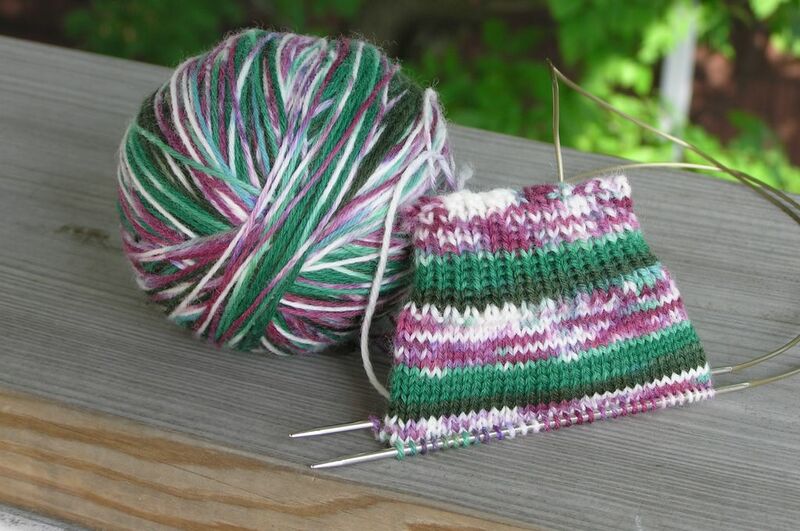 I would love to see it reversed... okay, maybe it wouldn't be a grapevine then, but solid purple stripes with green spots... yum! ... not that you need any more ideas. I hope you are having fun with all of this. i love this colourway! it looks fantastic especially when it is knitted up. you are so talented when it comes to dying yarn. grapevine is to die for! i love it!!!! can't wait to get mine in:) i really like those dtitch markers, can you tell me the secret project? you did a wonderful dye job for this one. Love your yarn. You are making such great combos -- SO cool!! I like it. It's different and fun. Another win from the dye pot. 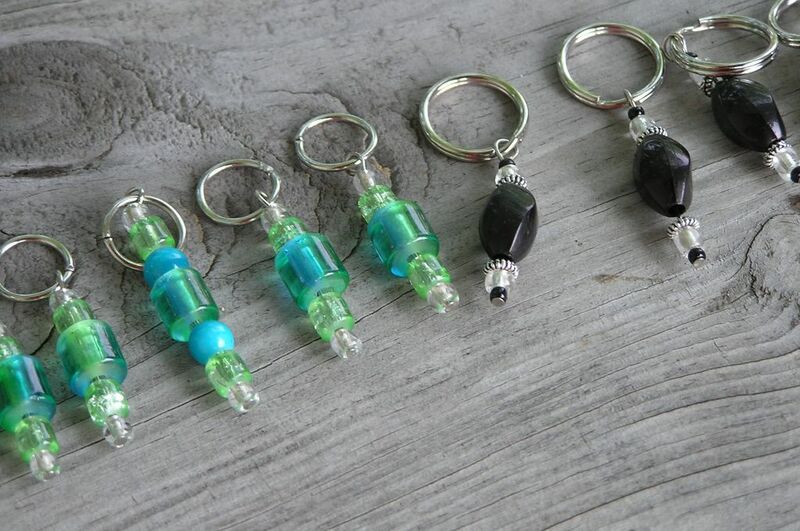 Glad you liked the stitch markers. :) I LOVE the dye job on this one too. You are one talented gal!!!!! So what is next on the dye list?